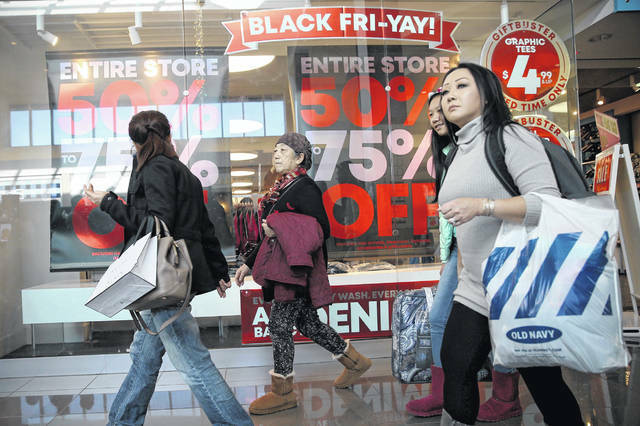 Shoppers walk past a Black Friday advertisement at Cherry Hill Mall in Cherry Hill, N.J., on Friday, Nov. 23, 2018. • The survey found that most survivors are taking a wait-and-see attitude about the prospects of a recession. But of those who identify as thriving, 51 percent are actively preparing for an economic downturn and 52 percent believe retail bankruptcies will rise in 2019. • They’re all spending money on their e-commerce operations, however 1-in-3 thrivers are planning to grow their store counts, including e-tailers. • Respondents were confused about whether or not to join Amazon’s ecosystem. About 70 percent said they believe the cons of partnering with Amazon outweigh the pros. Only 9 percent of retailers see exclusive products as Amazon’s biggest advantage over their business. • Only 41 percent are planning to significantly invest in improving their understanding of customer behavior over the next 12 to 18 months. The National Retail Federation, the industry’s largest trade group, said Tuesday that it expects retail sales to rise in the range of 3.8 percent to 4.4 percent this year. That compares with an estimated 4.6 percent increase in U.S. retail sales in 2018, pending an update from the Commerce Department, which hasn’t yet reported December due to the government shutdown.